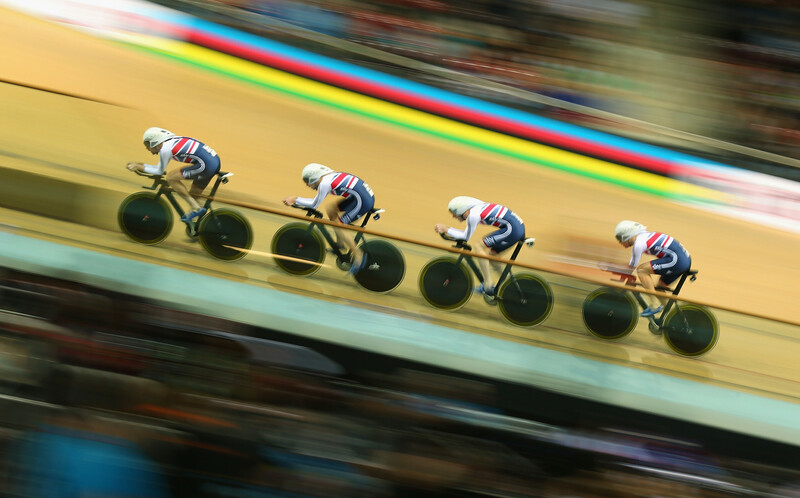 With its varied and spectacular formats, track cycling, an Olympic discipline since 1896, is captivating. But are you familiar with all the specialties? No? Not entirely sure? Then let’s take a look at the ins and outs of velodrome racing with the help of some images! An initial ranking is established by means of an individual 200m time trial with a flying start. This is followed by qualifying rounds which see two to four riders race over two or three laps (depending on the length of the track). The best two riders compete in the final. In this very tactical race, a rider will sometimes come to a standstill in a bid to make his or her opponent move to the front, the least advantageous position from which to sprint to the finish line. Two teams compete against each other, each rider leading their team for a lap before dropping back. The event is contested by teams of three riders over three laps (Men) or teams of two riders over two laps (Women). At the end of the knockout rounds, the two best teams line up to contest the final. Three to seven riders sprint against each other after completing a certain number of laps in the slipstream of a motorbike which will have gradually increased its speed from 30 to 50km/h (25 to 45km/h for Women) before pulling off the track some 600-700m before the finish. This is an individual time trial from a standing start. The competitor completing the distance in the fastest time is the winner. 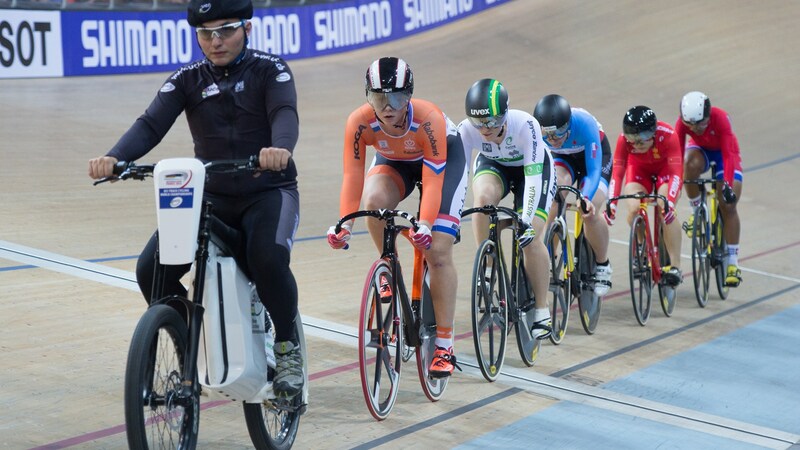 Two riders start on opposite sides of the track and compete over 4km (3km for Women). The winner is the rider who overtakes his or her opponent or records the fastest time. The format is the same as for the individual pursuit but with two teams of four riders racing over 4km. The classification in this race are calculated by the points won by riders during sprints (every 10 laps on a 250m track) and from laps gained. At the UCI World Championships, the race distance is 40km (25km for Women). The Madison – an event for Men only – is contested by teams of two riders who relay each other into the action with a hand sling before taking a rest. The distance raced at the UCI World Championships is between 20km and 50km, depending on the category. The classification is established according to the distance covered and sprint points earned. This is an individual race of 15km (Elite Men) or 10km (Elite Women). The classification is decided in the final sprint, taking into account any laps gained. The Omnium is a combined race which comprises six races (Scratch race, individual pursuit, elimination race, kilometre/500m, flying lap and points race). The final classification is established on the basis of the points awarded for each race.